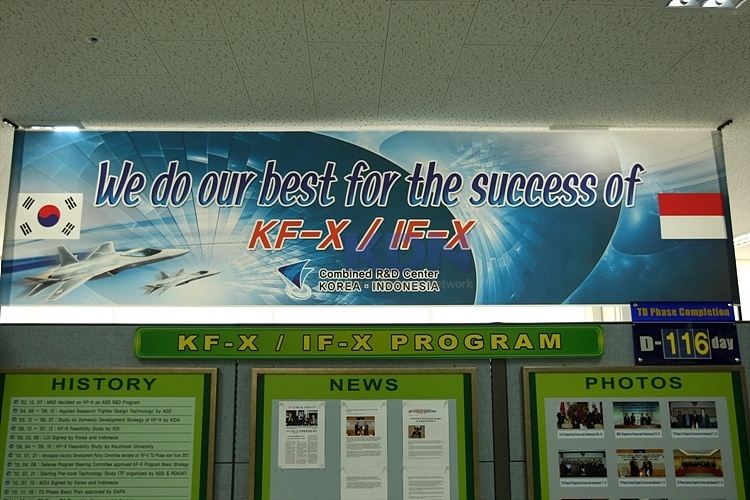 Frequently Defense Network on September 6, CRDC (Combined Research & Development Center) Korean fighter development and exploratory development work done ahead of the development of the overall business direction for catching the operation began in August last year, since the development schedule navigation terminated four months ahead of last-minute coordination work being made in World War CRDC directly sought. Boramae business known as KF-X business while participating Indonesia KF-X / IF-X with the official name was changed. CRDC has been recognized for decades of expertise in a related field, such as the Agency for Defense Development (ADD: Agency for Defense Development), and the Korea Aerospace Industries (KAI Korea Aerospace Industries), LIG ​​Nex1, Air Force, and the Defense Acquisition Program Administration within the domestic premier professional 130 people, including more than 100 personnel and Indonesian Defence Research and Development Center (Balitbang) of more than 30 high-quality human resources were the best fighters that can meet the performance requirements of the two countries to develop guseulttam spilling. Day public KF-X / IF-X shape of the scheduled performance and the key technologies required for the expected unit price and production development, maturity, and was originally known bars in large part, the other parts were. 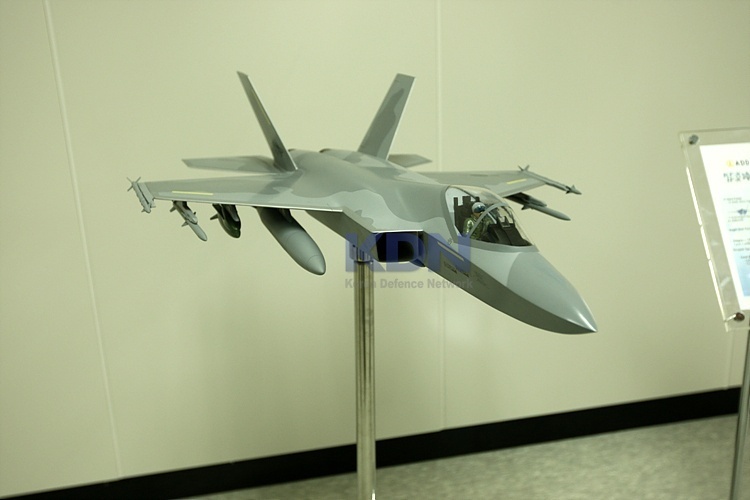 Advanced from initially had been reported through the Defense Daily C101, C103 案 shape being the most potent (案) Review and had the same shape by shrinking the overall F-22 fighter. 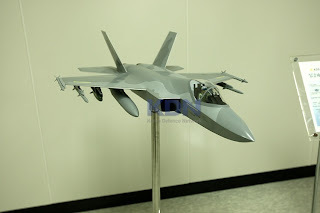 C103 is currently being developed LIG Nex1 Korean AESA (Active Electronically Scanned Array) radar, mounted, and further improvement through prototype after completion AMRAAM (Advanced Medium-Range Air-to-Air Missile) class fuselage in the center of the medium-range air-to-air missiles 4 feet or is expected to have a medium-range air-to-air missiles, 2 feet and 1,000 pounds-class JDAM (Joint Direct Attack Munition) IWB (Internal Weapon Bay) that can be mounted. 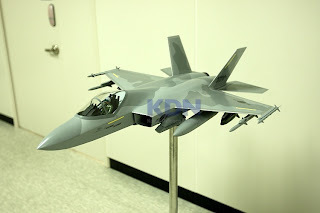 11 non-stealth mission at the fuselage external hard points, and can be mounted in various armed 2s, a new engine with 36,000 pounds yisanggeup thrust F404 / F414 / EJ200 flight performance and the ability to accelerate the F-16 level or above, and equip is expected. For each navigate and participate in the development of research institutes and companies. "Enough domestic development and securing a 00% level of expertise in terms of technology maturity, unlike the report of the external non-professional institutions and reach the level of some of the lack of technical systems development enough technical cooperation through or from a consortium of foreign companies and configuration step development is possible, "said KF-X / IF-X development success have strong confidence betrayed. Boramae business "since the establishment of the plan exceeded 10 years, the Air Force soldiers take and concept study that is the subject of Defense Science Institute, a long period of time, the technical feasibility study work in progress has been. LIG Nex1 expectations in this process, while developing the T-50, F/A-50, and technology accumulation, a significant portion was made in the avionics part're creating more research results in the development of a full-fledged system even though technically go has become known as a consensus can be developed without difficulty that the related fields of engineers. 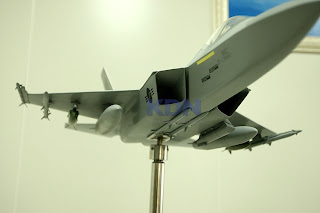 If successful, actually less than 70 billion won, which aims to suppress the KF-X development on the above-mentioned performance and success, the CRDC for yangsanga KF-X F/A-18E/F, F-16 Block 60, be a dark horse to emerge as a powerful inroads of the Eurofighter Typhoon, the KF-X / IF-X interfere with the movement from developed countries such as the United States a powerful show that if it fits in the development of the system for political, diplomatic and economic countermeasures step-by-step ready seems to be out. Official "CRDC's somewhat expensive if the current exploration development as development progresses past Konkuk weapon system concept in the development of the application Laboratory than the expected 50 billion KDI expected 70 billion lower than the level of the yangsanga will be priced" said, "needs tuning through the development and mass production is possible at a reasonable cost," he said. Those working in the field of aircraft maintenance, Air Force officials also "In the past, F-4/5 of the fighters is basically dependent on imports, and almost all parts of these fighters by eating her since been discontinued parts supply operation to maintain a very large difficulties express several complaints are made, "said the localization of a high percentage of the development of domestic fighter made fighters and maintain power dimension there is a dramatic improvement in capacity utilization is expected. 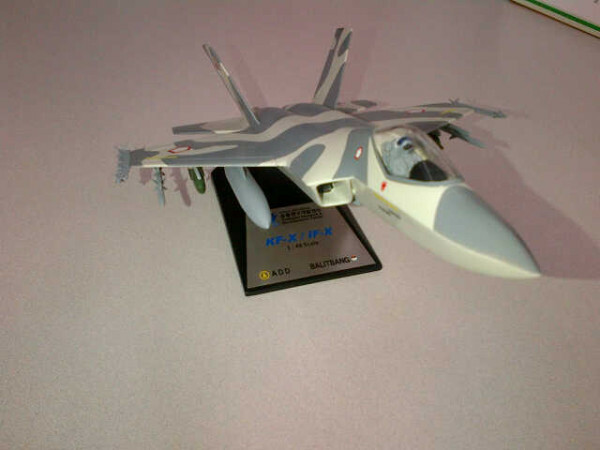 On the other hand, reflects the development of the KF-X / IF-X navigation shut down, but the end of the year, the budget for a full-scale system development in next year's budget not, some policy research institutions and relevant ministries in the deal over the logic of the foreign fighters maker last formation of public opinion is an urgent need for the agency's corrective relationship seems to be 10 years, embarked itself in a position to oppose the development of the domestic fighter system consistently adheres.